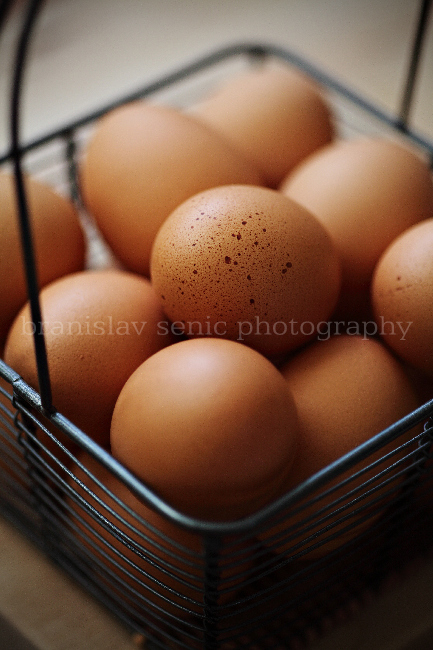 I’ve been asked so many times if selling food photography as a stock material makes any sense. In today’s economy I see no reason why you shouldn’t explore this possibility … after all who doesn’t want to make a little extra cash these days? In fact, I started my photography career as a stock photographer. I have been selling royalty-free stock photographs for a while and will share my thoughts, ideas and concepts with you, along with some suggestions for getting started. I’m not going to cover the whole idea and concept of royalty-free stock because it will take too much time. I would like to concentrate on how to sell your food photos. As you might now, there are many stock photography websites/companies out there. The process of opening your contributor’s account is pretty straight forward. In many cases you will be required to submit at least 10 photos as a part of the initial inspection. Based on results, stock agency will determine if your work is good enough in regards to quality, artistic aspect and most of all profitability. Once you pass this test, you can start selling. As I mentioned before, food photography stock is a very specific and niche market segment. Not so many contributors are ready to explore these waters simply because food photography requires knowledge, investment, experience and time. And this is totally normal. I haven’t met one food photographer that specializes in all aspects of photography. Someone once said “Jack of all trades – master of none” … I can’t agree more. There are two types of stock agencies out there. Websites such as IStockphoto, Shutterstock, Fotolia, Dreamstime sell pretty much anything and everything … from lifestyle and concept to people and landscape photography … everything goes. As a food photographer, you’ll find a little bit less competition on these sites, simply because you’re looking at huge volumes and wide variety of material. On the other hand, there are agencies that specialize in selling and promoting only food photography stock. Some of the most popular are Stockfood, Foodphotolibrary, Fotofood etc. If you are new to this whole stock concept, I would suggest get your feet wet on general stock sites and then move on to something more specific. Now, there are some suggestions and recommendations I would like to give you before you dip into stock market. Many online stock sites have a minimum technical requirements. Generally speaking, you want to start with a decent 8-10 megapixel camera. A digital SLR camera, one that you can change lenses on, is much more desirable as they produce better quality images. In food photography this is really important because very few shots you’ll take won’t require post processing. As a rule of thumb, 99% of your photographs need some sort of touch-ups and fine tuning. For this reason you’ll need a basic photo-editing program. I would recommend Adobe Photoshop but Photoshop Elements or Adobe Lightroom will be more than enough. As you progress, you will find yourself searching for better cameras and lenses, lighting gear and other photo equipment. One thing that will differentiate you as a food photographer from the rest of the pack is the actual production cost. When I started selling food stock I was unaware of the total cost and up for a big surprise. My operating cost was really high. So high that I started questioning my entire business concept and overall ROI (Return on Investment). I realized much later there is an expense associated with pretty much everything that goes into food photography production. Stuff like props (plates, glasses, table cloths, utensils etc. ), accessories (brushes, burners, glycerin, fake ice etc.) and photo equipment will definitely take a toll on you wallet. Oh, and food … don’t forget the cost of food, it could be quite expensive. To be honest, it could take a couple of years before you recoup all of your investments and start turning the profit. This might sound discouraging but on the long run it could be rewarding. Like any other business startup, the fruits of success always grow on the tree of hard work and investment. I’ve been hearing this question all the time. Generally, you can sell all sort of food stock but naturally some subjects will always sell better than others. The best way to determine what’s really profitable and what kind of food photos sells the best, is to do a research. Go and visit some of the major stock websites and search their food portfolio. This will give you a pretty good idea what sells exceptionally well, which food photos are a mid-pack contenders and of course what doesn’t sell very well. 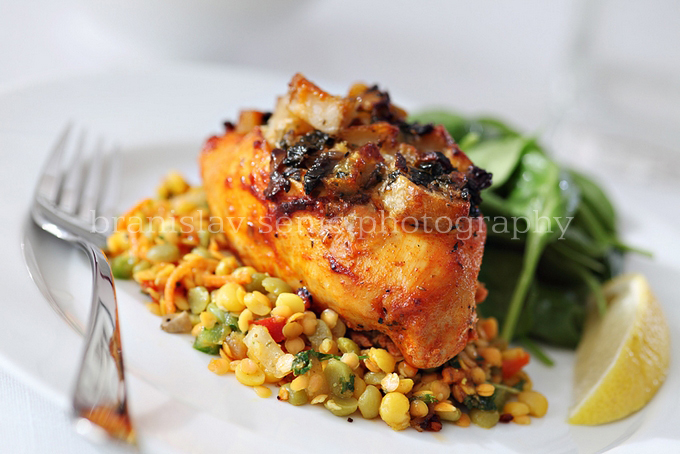 From my experience, photographs of prepared food are on top of the list and generally sell quite well. 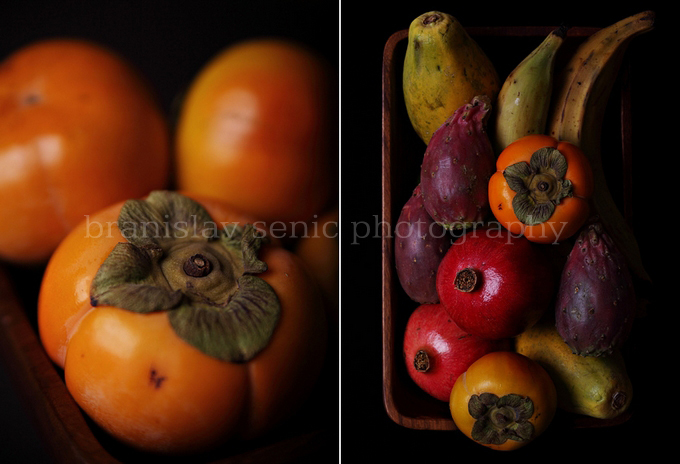 Raw food subjects are easy to shoot (white background setups) but you won’t get rich selling those …. there are just too many of them out there. When you start your royalty-free stock career, I would suggest you submit your best work, regardless what it is. Subjects you feel the most comfortable shooting will end up being your best. There is always room for improvements but this comes with time and experience. A long time ago, someone gave me an advice and I will share with you. When selling your work online, you always need to put yourself in buyer’s shoes. No matter how happy and proud you are with that steak photo, you got to compare it with some of the best work you’ll find online. Don’t forget one thing … anyone who spends money wants the best bang for a buck and naturally the professional looking food photographs sell the best. Believe it or not, but I found so many of my royalty-free stock in leading food and lifestyle magazines … this could give you an idea who could end up buying your work. Different lights have different temperatures. Make sure your camera white balance is set properly (AUTO or whatever light you’re using). This is especially important if you’re shooting in JPEG mode. Morning coffee from Senicphoto on Vimeo. When shooting in low light conditions (limited natural light) the tripod is almost a must to have. If you have a remote shutter this can further ease your workflow. This is commonly used lighting method. When utilizing one light source the subject might appear too dark on its opposite side. In this case use either second source or light bouncers. To avoid hard shadows, it’s always a good idea to diffuse it with either greaseproof paper or purpose made diffuser. Don’t forget, hard shadows are the enemy of the food photographer. Try to shoot same subject from at least 2 or 3 different angles. This will give you an idea how subject can be presented to your audience. You can try at least two main angles … shoot on a level with the food and looking down on it. Later on in post processing, you can “spice things up” further by cropping and rotating the subject. 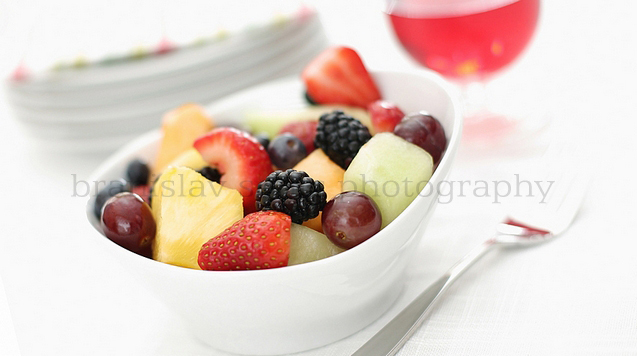 White plates are ideal for food photography. It will give you a nice transition but at the same time food will stand out as the main focus. Steak from Senicphoto on Vimeo. Fewer items you incorporate in a shot, easier will be to showcase your main subject … food. I always prefer simple compositions over overcrowded dining table. Try stirring viewers to focus on food. Food is not always super vibrant and contrasty. A splash color can really make an image come alive. This is the time I use fresh herbs like mint, cilantro, rosemary etc. Make your food plate a main focal point. Crop it and rotate it as much as you want as long as 70% of image is actually reserved for food.